Dragon Ball Super Episode 115: English subbed. The Tournament of Power has reached its second half and it promises a lot more actions and surprising events are going to take place. Until it airs, let’s check out the leaked spoilers. 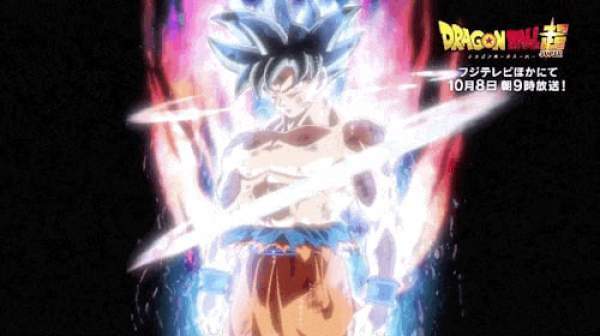 According to the rumored reports, the DBz fanverse is going to see the Goku in his most powerful form yet again. That power makes him like a god. The rumors were such that Goku’s latest form is so powerful and highly technical that even some of Gods of Destruction couldn’t master so far. In a surprising turn of events, it is being reported that Kefla’s super Saiyan mode is more powerful than Goku’s Ultra-Instinct. Some spoilers were leaked for DBS episode 116 and with it, fans have developed some of crazy their fan theories. One of them is that Kefla is the fusion result of Kale and Caulifla, the two powerful Saiyans from Universe 6. It is being said that its power can withstand and might overdo the Ultra Instinct Omen form of Goku. It is also being claimed that the super warrior has got a limitless power which has been possible only because of the fusion which took place in the segment of last week. We got to see the glimpse of how easily the new super warrior was able to attack Super Saiyan God Goku. Kefla didn’t have to face that much difficulty. These speculations points in the direction that Goku will power up even more and reach the next level. His next form will be more powerful that Ultra Instinct. Thus, fans will get to see an amazing showdown of powers in the Tournament of Power. Kefla may even power up to match up with Goku’s god-like form. The powering up of Goku will again attract the eyeballs of Universe 11’s Pride Trooper Jiren the Gray. When Goku will once again achieve his new form, the massive surge of energy accumulated will disrupt the meditation of Jiren. The U11 warrior will again set his eyes upon him. Son Goku achieved this form in the 1-hour special and left everyone even God of Destruction astounded. However, the episode 117 details released so far don’t reveal a potential Jiren vs Goku rematch yet. But, the fans are wondering it will take place soon. So, it looks like the popular anime series’ team has got more surprises for the fans than expected. Let’s see how it unfolds. DBS episode 115 will air on November 12, 2017, at 9 am JST on Fuji TV. The fans can stream / watch online the same on FUNimation and Crunchyroll.